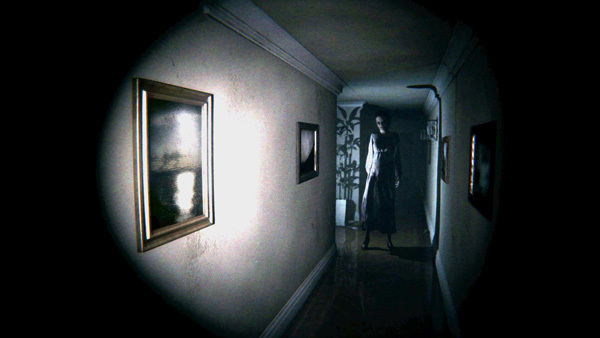 Are these the scariest games ever? Now without further ado let’s count the top 10! Bloodborne is not a straight-up horror game, but the horror is definitely there and the setting of the game feels like a mixture of Lovecraftian and Victorian horror. The creature designs are horrific, demonic monsters and the fear of death is always around the corner. Bloodborne isn’t just one of the best horror games, but one of the greatest games of all time. 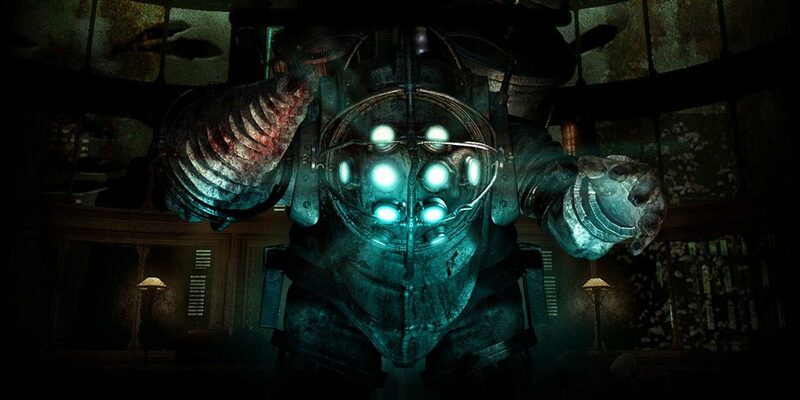 Bioshock has an incredible opening sequence and brings you straight into the horrors in the underwater city of Rapture. There are psychos all around, waiting to kill you and you cannot forget the Big Daddies. Brilliant game, with one of the best twists in video games to date, all with a simple phrase of: “would you kindly”. The most creative game on this list; Until Dawn makes you control a group of late teens in an abandoned cabin. It starts off like any other slasher flick but soon descends into pure horror. The performances by the actors and actresses are top notch and it feels like you are playing a tv series the whole way through. I’m excited for the developers next set of games, hoping they will be as creative and good as this awesome game. Arguably the most revolutionary game ever, Resident Evil 4 changed the game (no pun intended), for all horror games and 3rd person shooters. The game wasn’t as scary as the titles prior to this, but the gameplay was perfect and the story had great pacing. Don’t worry though, the scares do come in the latter half of the game, the Regenerators being among the scariest video game creatures of all time. A true psychological horror; Silent Hill 2 is a very popular choice as the best horror game. It was one of the first games ever to have a great story. The gameplay has aged quite a fair bit because it is from the early 2000s, but there are still great features. The monster designs bring chills to your spine and for those who don’t know the ending, the twist at the end is iconic. Easily the scariest game on this list! I’m not one for the walking simulator type horror games (mainly because I’m terrible at stealth) but this game has stayed with me since I played it those few years ago. Technically it isn’t a game, but a demo for Silent Hills which sadly never got released, but the terror I felt in this game was like none I had ever felt. My number one on this list kind of brought us a full game experience of this, but it is still a tragedy that Silent Hills was never released. During the build-up of the first Evil Within, my excitement was at an all-time high. Upon playing it, although still a good game, it wasn’t the horror game that was promised and I was left a little disappointed. Then Evil Within 2 came and went, part of me wanted to play it, but wasn’t sure. After reading and watching a ton of reviews of this game I finally came round to playing it and absolutely loved it! They fixed the gameplay from the original and there were multiple moments that were genuinely terrifying. Evil Within 2 was a fantastic game and showed that action horror games can still be scary. 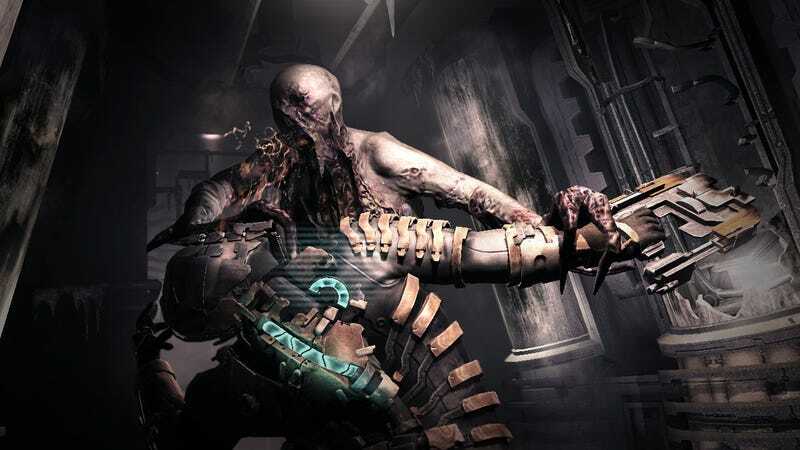 Dead Space took the gameplay from Resident Evil 4, perfected it, set itself in an Alien-inspired setting and therefore created this masterpiece. The game has everything: tense build ups, stunning graphics (for the time), grotesque alien monsters, a ton of gore and a few excellently utilised jump scares. I’m sure nearly everyone has played this game, but if you haven’t you need to! If anyone were to play the original Resident Evil now, they probably wouldn’t find it that scary, luckily for us, it got remade for the Gamecube and it is horror at it’s finest. The game has aged gracefully and the current generation HD remaster has enhanced it even more. This was the first game to ever scare me and I guarantee anyone who hasn’t played this game before will be scared silly. The Resident Evil 2 Remake is finally coming out soon and if you want to play that game, this is a great game to start with. So, here we are number one! In my opinion Resident Evil 7 is the best horror game of all time. I’ve never played an opening like this game, it was one of the most intense video game experiences of my life. The game took the best parts from every horror game; the open-ended nature of the first three Resident Evil games, the scares of P.T and the best graphics ever in a horror game. The game starts off as though it’s going to be similar to The Texas Chainsaw Massacre, but ends up being complete madness. I recommend this game to everyone I know and it is easily the best horror game I’ve ever played. Let me know if you’ve played all these games, or if you would have any different games on your list. Follow my blog for some more great posts, to join me in celebrating HALLOWEEN!